VIOLA CASE - MODEL "MATERO"
Special case for viola that characterizes original shape. It combines a lot of advantages: perfect thermal insulation, shocks absorption, and protection from physical forces. It’s durable and lasting. This viola case fits master instruments even at the biggest sizes, it has simple adjustment of a compattment for music box. Original style, toned in colours and high quality fabrics are its the most important features that assure satisfaction of the most demanding violist. 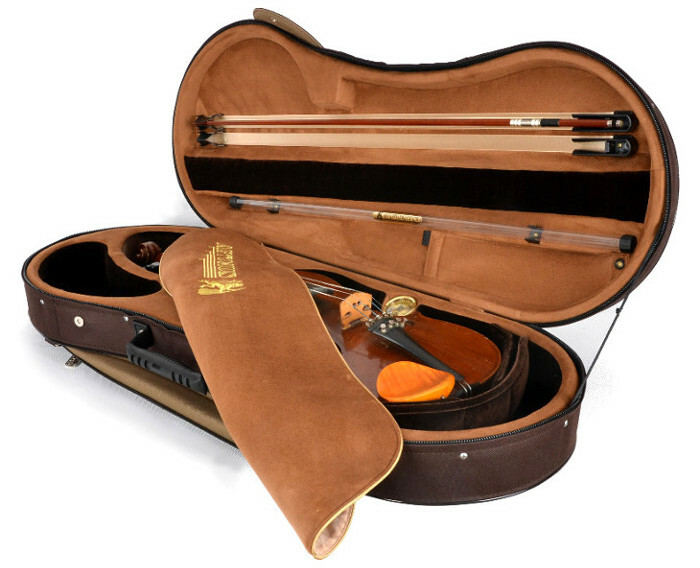 This practical viola case is perfect for professional musicians.